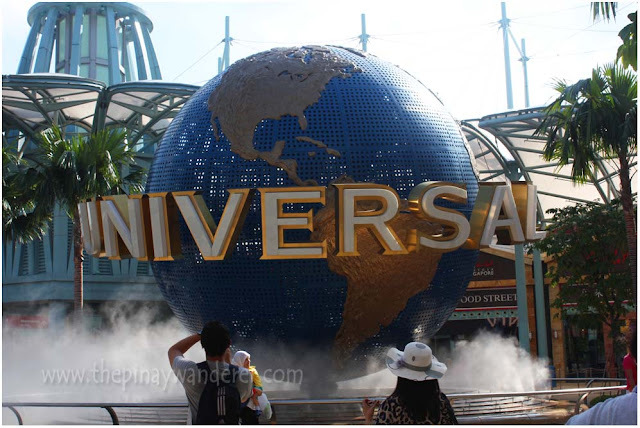 Universal Studios, a movie theme park located in Sentosa Island, is probably one of the most, if not the most visited attractions in Singapore. 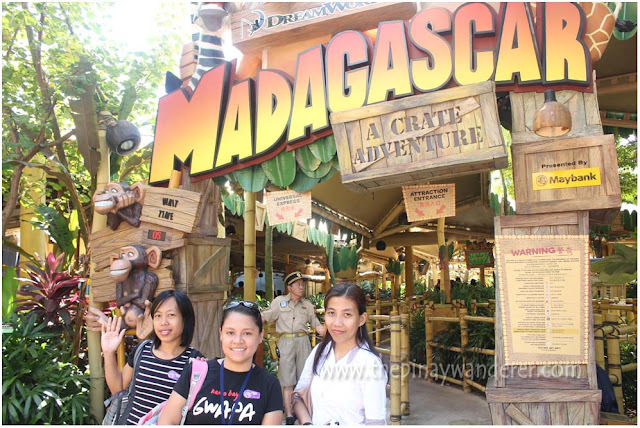 It features 7-themed zones - Madagascar, Far Far Away, Lost World, Ancient Egypt, Hollywood, New York and Sci-Fi City. 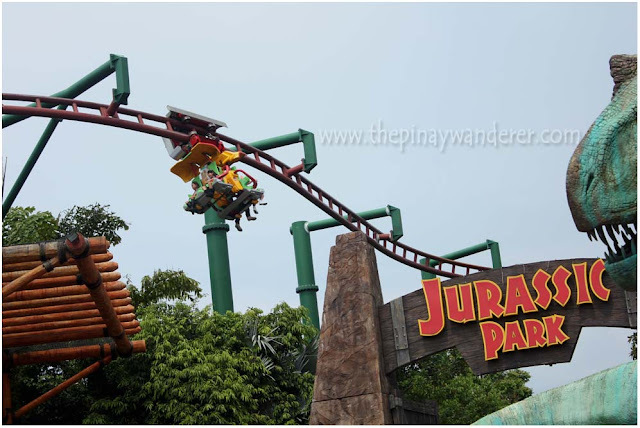 It is a must-see attraction for kids and kids-at-heart, so of course it's included in our SG summer escapade. 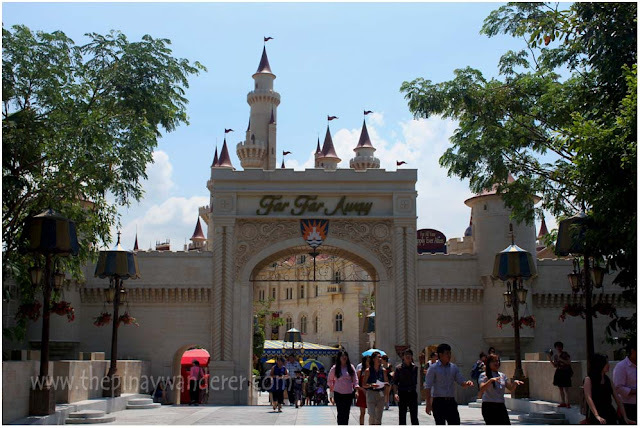 However, instead of having a DIY tour to Universal Studios, we availed of a package tour worth SGD71 (we were convinced by our city tour driver/guide to get a package tour, regular 1-day pass however costs SGD68). The package includes one way van/bus ride to Sentosa and a 1-day pass to USS (1-day pass includes ride-all-you-can to all USS rides). Before the city tour driver/guide dropped us at our hotel, he reminded us several times to be at the hotel lobby at exactly 8AM the next day, our pick-up time for the USS tour. And we are glad we did as we were told, the driver (not the city tour driver) who picked us up for the USS tour is very particular with time, the other tourists who are not on time were scolded and embarrassed for being late. And you can't take the driver's words, they were so embarrassing even us got tongue-tied though we're not the ones who are late. Note: Singaporeans are very punctual, they will leave on time and will not wait for you. So if you are going to get a package tour which includes a transfer ride, make sure you are ready at pick-up time to avoid embarrassing situations with snappy drivers, like what we have witnessed. USS' Far Far Away Zone is inspired by the animation movie Shrek. 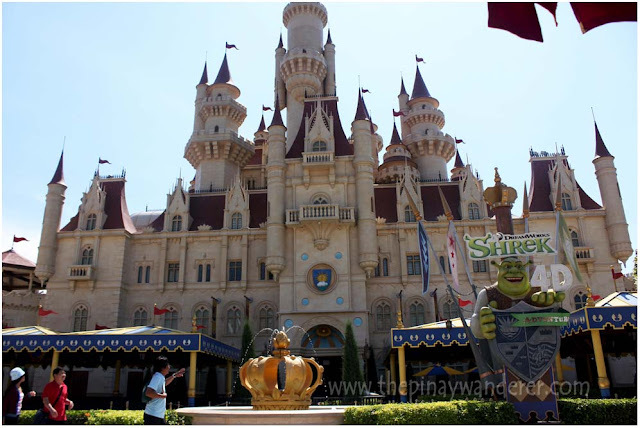 The attractions here, like Shrek 4D Adventure (a 3D film showing with physical or natural effects as if viewers are part of the show) and Donkey Live (an interactive live show featuring Shrek's sidekick Donkey), are basically for kids but still we watched it, we're kids-at-heart remember...hehe! USS' Lost World is the area that features adventure rides, mostly for adults but kids measuring at least 3 feet in height are allowed to ride here as long they are accompanied by adults. This zone has two main themed attractions, the Jurassic Park (based on the Steven Spielberg movie/Michael Crichton novel) and the Waterworld (based on the Waterworld movie starring Kevin Costner). Jurassic Park has two rides, the Canopy Flyer and the Rapids Adventure but we only got to ride the Canopy Flyer; we don't have extra clothes so we didn't try the Rapids Adventure (this adventure will get you wet). 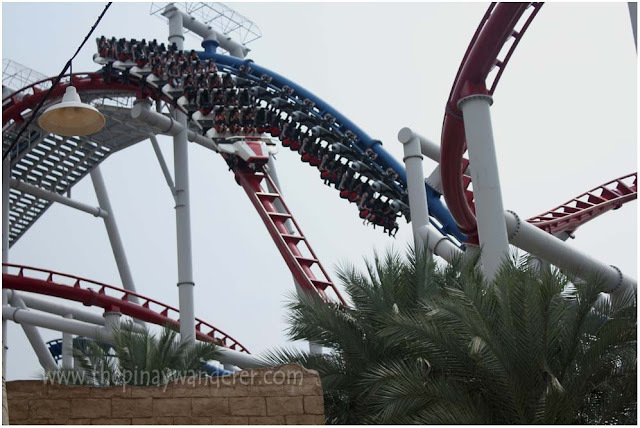 And yes, even though I'm afraid of heights, I rode this roller coaster, 'tis a fast ride eh so I've no time getting scared...hehe! 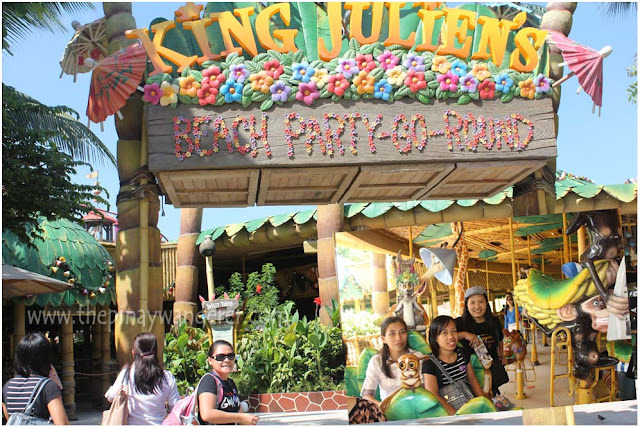 * Allot 1 day for USS tours and rides, you need 1 whole day to fully enjoy this park. * Bring extra clothes, some rides will get you wet so you'll need extra clothing. * Recommended for kids: Madagascar and Far Far Away zones. * Kids height requirements (for most rides): at least 3 feet. Thumbs up sa pagconquer mo ng iyong fear! Gaya mo takot din ako sa heights, at feeling ko anytime aatakihin ako sa puso sa sobrang takot. wahhh no! nakakatakot kaya nong ride nayan. Nawala yung comment kong mahaba waah! Takot ako sa mga rides na nakakalula! Sa mga pangbata lang ako. hihi! 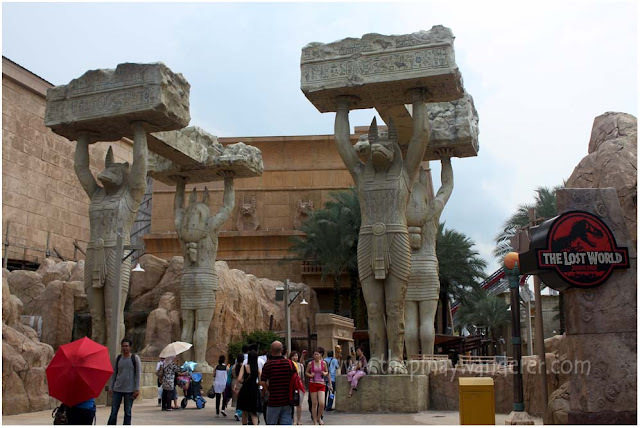 Ang ganda nung Egyptian zone , i think I will enjoy the view more than the rides. Magsama sama tau nila Gracie mga takot sa heights he he! Kainggit naman! 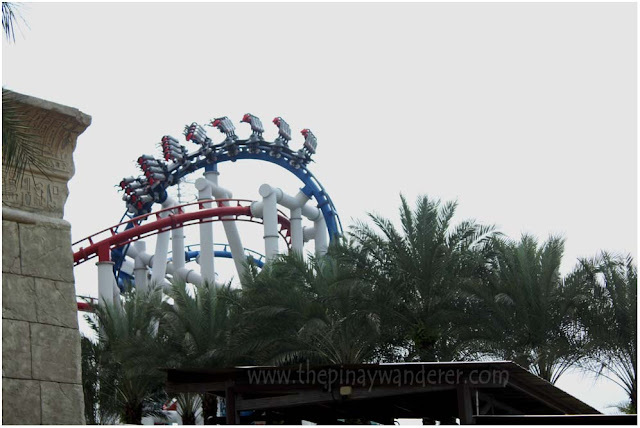 Been here also pero di ko na try yang battlestar Galactica dahil di pa sya open that time. Ikaw na ang puro travel abroad! wow! i am so tempted!! i conquered my fear once sa starcity ba yon? haha doon lang ang kaya ko for now, but i will surely try this soon!! Universal Studios Singapore offers entertainment that is highly comparable with its other international counterparts, providing the best theme park rides and a whole lot of shopping for tourists all around the world. In fact, this is the only place in the country that gives you the feeling of stepping directly into a movie set, making it an experience that would be magnificent for the person who simply wishes to know what it's like to be part of Hollywood.